We hear you’ve decided to move to Portland! First of all, congratulations on making one of the best decisions of your life. 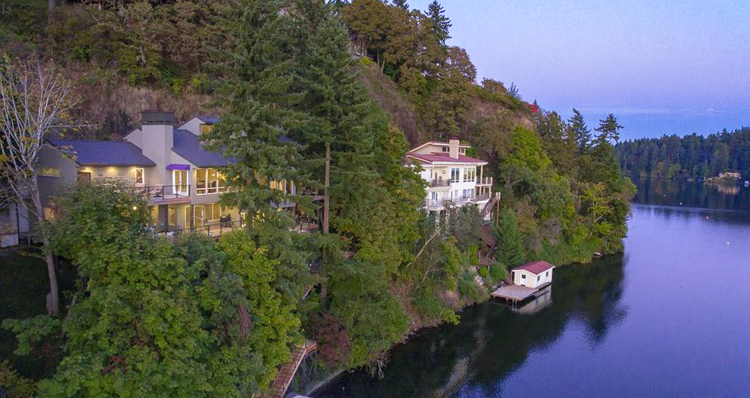 We may be a bit biased, but we think the Portland area is an excellent place to live. In fact, the city was ranked amongst the 10 best places to live in the country by US News and World Report! However, one of the less exciting things about moving to Portland is just that — the moving part. There are so many small (and large!) tasks associated with a move, from researching a moving company to hanging that last piece of art in your new home. 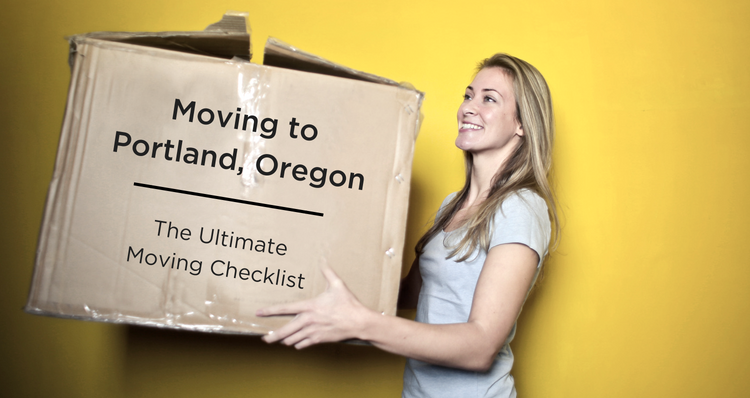 To help you get your mind around this process, we put together a comprehensive moving guide, which will take you through each and every step of your move to the Portland area! The less you own, the less you’ll have to move! A move is a natural time to sort through your belongings and decipher what is worth keeping, and which items you wish to donate or sell. The earlier you start this process, the more likely you are to take the time to sell high-value items. Drop off any unwanted items at a local shelter, or a nearby Goodwill or Salvation Army, USAgain, or other charitable organizations operating in your city. The best news of all — your donation will assist someone in need within your community or across the globe! Sell your high-value items using services like Craigslist, Facebook Marketplace, OfferUp, eBay, etc. 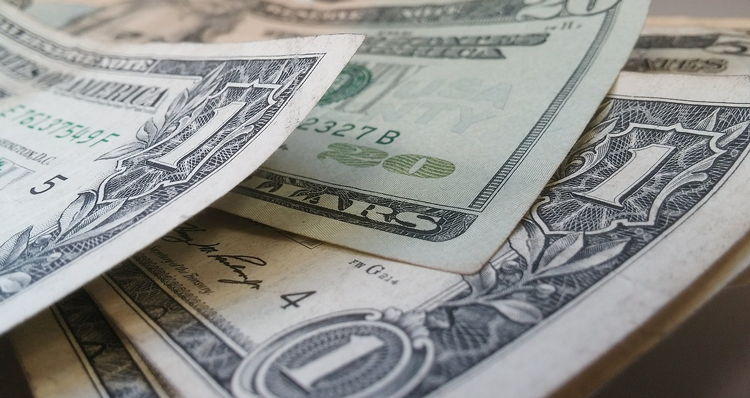 Extra cash you make for furniture, electronics and other high-value items may be used to help pay for your move. Keep track of all paperwork related to the move in one convenient spot. You can either opt for a physical binder, which is an easy way to collect receipts and other small papers, or a digital folder, which means your documents will be harder to lose and easier to access no matter where you are. Get quotes from various moving companies operating in your city to assist with packing up your home or apartment. Don’t commit until you find the best price or services! Portland Movers Company is an excellent choice for helping with your move into your new home — especially if you are moving from a nearby city or just down the road in a suburb of Portland. This local full-service moving company is BBB accredited, ODOT certified and considered one of the highest-rated moving companies in the Portland Metro area. Get acquainted with the area before you move, as it’s likely you’ve only experienced the city through the eyes of a visitor. All education starts with the basics — like the ABCs! 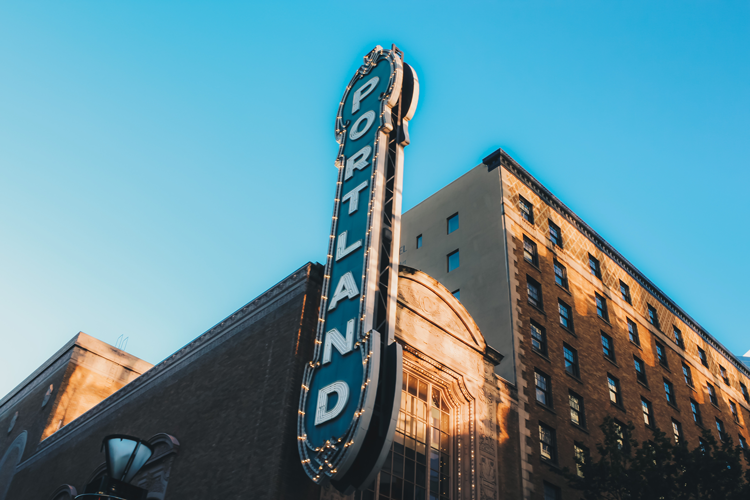 We outlined The ABCs of Portland, Oregon, with an array of local landmarks and endearing city features (like the infamous “Keep Portland Weird” motto). Subscribe to Hasson’s blog! One of the best ways to get to know the city is by subscribing to The Local Arrow, our community-focused blog that covers upcoming community events, the hottest neighborhoods, local hotspots, real estate insight and much more. If you have yet to decide on a new school for your kids, GreatSchools is an excellent place to start. If you need further assistance with choosing a school (or a neighborhood based on a school system! ), our relocation department is another great resource. Stock up on all necessary supplies you’ll need to start packing, including boxes, paper, tape, permanent markets, bubble wrap and specialty boxes (wardrobe and TV boxes, for example). Keep in mind that you can often pick up free boxes from local businesses, like shoe stores, outdoor stores and department stores, who are usually more than willing to spare a handful of empty boxes. Or you can even ask that coworker who receives a new Amazon package at the office every day. Prepare for high-value items to be insured by making a note of all items valued at over $100 per pound, such as a computer or TV. Record any damage or scratches on items and furniture. Take photos of significant damage, so you can compare with the state of the item after the move. Drain all fluids from hoses, lawn mowers, propane tanks, etc. Finalize your items designated for donation and selling. It’s likely that you may find additional items to donate and sell the further you are in the packing process. This is the time to take another trip (or two!) to a donation drop-off location or sell some items online. 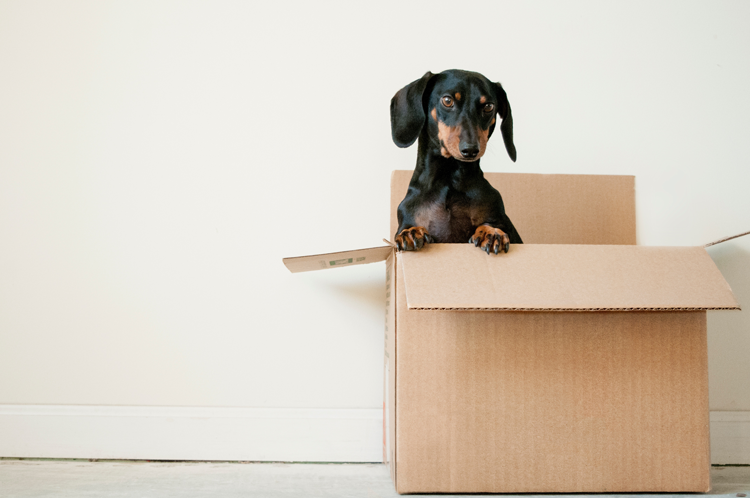 Trust us — you won’t want to do this as moving day gets closer! Waste as little as possible by eating frozen or perishable food, using up cleaning supplies, and getting use out of other things you don’t want to transport in the move. Now is the time to lock in the moving company you want to use. You can often get a more accurate estimate with an in-home consultation, as the movers can assess exactly how much stuff they will be moving. Make your reservation for a moving truck. It’s wise to choose a company with plenty of locations in the Portland Metro, such as U-Haul, Budget, Penske or Enterprise. This will be a constant task as you get closer to the move! The more you spread this out, the less last-minute chaos and stress you’ll experience. After all, you will have plenty of other logistics to handle during the last week! Label boxes and organize them by room or subject. Clearly labeling the contents of each box will make unpacking that much easier! Put valuables in a specific box to transport with you personally. This might include jewelry, important paperwork, keepsakes and other valuables you don’t want to lose track of. 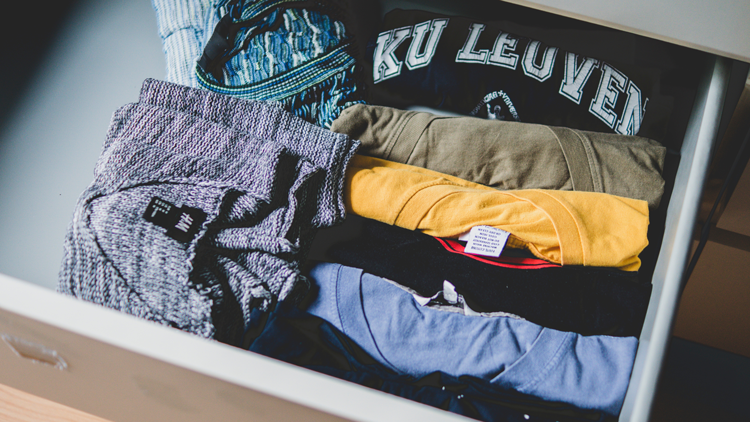 Create an “essentials” box (or suitcase) for things you’ll need as soon as you arrive. This includes your favorite clothes, toiletries, kitchen necessities, etc. Because you use these things regularly, you won’t fill this until the last couple of days before the move. This isn’t as overwhelming at it seems! Simply fill out a change of address form at your local post office or at USPS.com. Specify the date in which you would like to start receiving your mail at your new address. If they apply to you, notify the following people about your move: banks, your employer’s human resources department, brokerage firms, magazine and newspapers you subscribe to, and your credit card, insurance and utility companies. Stop by or call your doctor to set up a forwarding or arrange to obtain your medical records yourself. This will create an easy transition to your new healthcare provider after your move. Think about the following accounts or services that will need to be either cancelled or transferred: postal service (as mentioned), cable, telephone, utilities, newspaper, lawn service, school, day care services, insurance policies, medical providers, bank accounts, prescriptions, car registration, etc. Make sure all is squared away for your arrival on move-in day, whether you’re moving to a new apartment or a new home. Your broker is more than happy to help with confirming your move-in date and all logistics related to your move. 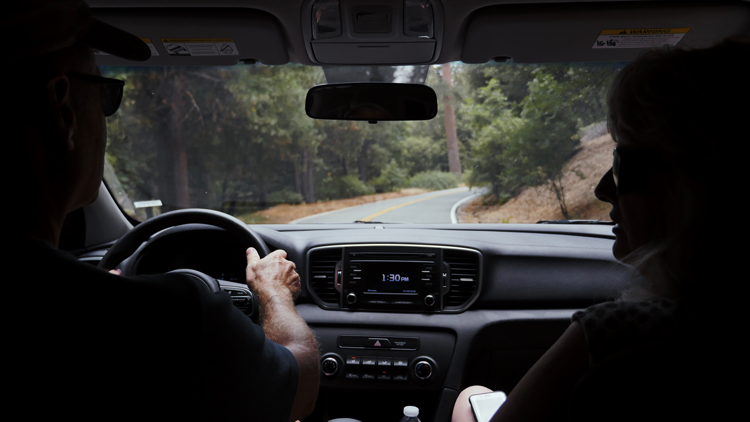 It’s smart to get a tune up for your car, especially if you are driving a long distance for the move. Plus, ask your mechanic about any services your car might need if you are moving to a new climate. 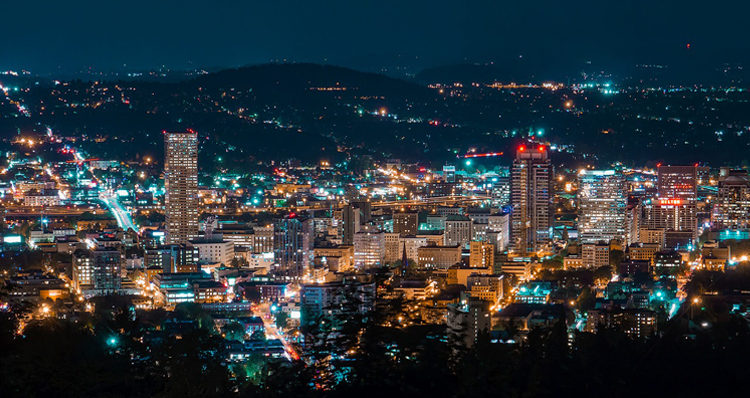 The Portland area has a temperate climate with a combination of both oceanic and Mediterranean features, marked by warm, dry summers and cool, rainy winters. Touch base with the moving company to make sure all is ready for moving day, including your current address, new address, contact information, arrival time, truck size, etc. 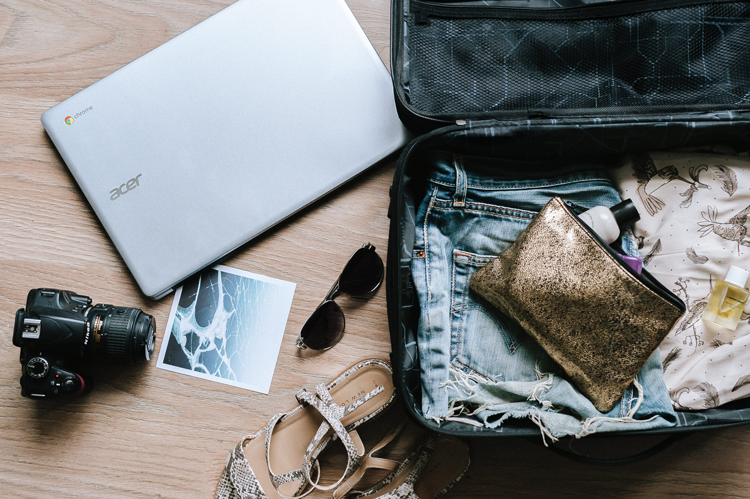 Pack a suitcase or box as if you were going on a trip! Set aside all essentials you will need on a daily basis, so they don’t accidentally get packed away in the truck. This includes clothing for about a week, toiletries, phone charger, laptop and other electronics, etc. If possible, fill up any prescriptions you will need during the move and for the first week or so after you arrive. Avoid panic by preparing for payment to your moving company and tips for movers. This is a tiny (yet super important) detail that can often be overlooked. Find out if you can pay with a credit card or if you’ll need a cashier’s check, money order, etc. Get cash for tips for the movers, which is not required but is definitely appreciated. It is common to tip $10 per mover for a half day and $20 per mover for a full day. Stock up on refreshments for movers. This is a small way to show your gratitude and make sure the movers stay hydrated! Pick up a pack of bottled water, Gatorade or other refreshments to pass out throughout moving day. Put the final pieces of tape on the last few boxes, making sure to label everything clearly. You’ll need to pack everyday items at the last minute, including kitchen supplies, bathroom supplies, blankets, towels and linens, and other things you use on a daily basis. If you are moving your freezer, you will need to empty, clean and defrost it at least 24 hours before your move. You cannot “confirm” enough! Make sure all parties involved know the details of the big day. You’ll need to do a deep cleaning of your old home or apartment, preparing for its next inhabitant. Set aside several hours to get this done, or hire a housecleaner to do the grunt work for you! Hiring someone can help relieve stress so you can focus on other last-minute tasks. First things first — take a deep breath! This exciting day is finally here and much of the hard work is behind you. Pro Tip: Invest in a good cup of coffee from your favorite local shop to start this busy day on the right foot. Whether or not you’re personally transporting boxes or you’ve hired a team of movers, you will want to wear loose and comfortable clothing on moving day. Put on tennis or athletic shoes with lots of support, light layers (especially during warmer months), and maybe a hat or sunglasses if it’s a sunny day. Be ready to communicate with the movers, who may need assistance with the best parking location. Plus, ensure they have your new address and contact information before they pull out of your driveway! If you’ve hired a moving company, they are experts! But you can supervise to ensure everything is loaded carefully and in the proper order. If you are doing the work without movers, you will need to load your items with a specific method. Penske recommends creating an “I formation” of your heaviest items, using tie-downs to prevent shifting, placing mattresses to the left and sofas to the right, in addition to other helpful tips for loading a moving truck. Take a good look at your items (especially furniture or fragile objects) to make sure everything was transported safely and without issue. You’ve finally made it to your new home and it’s time to make it feel like “home.” The faster you unpack boxes and get organized, the more settled you will feel in your new space. Plus, if you labeled your boxes well, this process won’t be as overwhelming. Find a recycler near you and recycle all boxes and supplies that can be recycled. As you probably know, several of your move-related tasks will involve the DMV. Find the DMV office nearest you in order to make your new residency a bit more official, whether you are moving from another city in Oregon or from across the country. Apply for a new license. If you are moving from out of state, you will need to obtain an Oregon driver’s license. Change your address with the DMV. If you are moving from another city in Oregon, you will still need to change your address for your driver’s license, ID card, registration and vehicle title. Register your car if you are moving from out of state. If you are overwhelmed or confused by any DMV specifications and requirements, take a look at their complete new resident moving resources! And now — the real fun begins! There is so much to do, see and taste in Portland, and we’re excited to show you around. 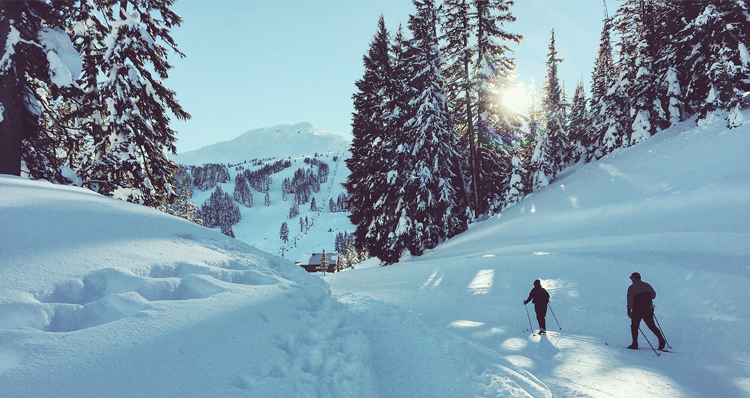 Follow along on The Local Arrow, our community-focused blog that covers upcoming community events, the hottest neighborhoods, local hotspots, real estate insight and much more. We regularly showcase our favorite local restaurants, shops, bars, swimming holes, hikes, attractions, kid-friendly activities, events and much more. The Hasson Company will gladly serve as a go-to resource for all things related to your move! Not only can your broker assist with details related to your home buying experience, they can also help you become acquainted with your new community. They live and work here, after all! Plus, our relocation department can answer any additional questions you might have. And when it comes time to sell your home or buy another in the Portland Metro, Southwest Washington or Central Oregon, Hasson will still be here! Let us know how we can assist you — now or in the future. Welcome to your new home in the Portland area! We are so happy you’re here.